July 16. By Dave Yochum. UPDATED 7:30 pm. A female former employee of Cornelius Mayor Pro Tem Michael Miltich says the surgeon was a great boss. “He never did anything inappropriate or made me feel uncomfortable in any way. I worked alongside of him when it was just he and I. He had ample opportunity to do something if he were going to do something. He never made me feel uncomfortable or did anything inappropriate,” said Tina Kerr, 48, a clinical assistant in Miltich’s Mooresville and Huntersville offices. “He was great with the patients. I never experienced anything with him. He is a family man who talked about his family all the time,” she said. Miltich has come under fire for alleged inappropriate conduct during town-related business as well as during an office visit in 2005. He was removed from the Ada Jenkins Center Board of Directors after unspecified complaints by the executive director. 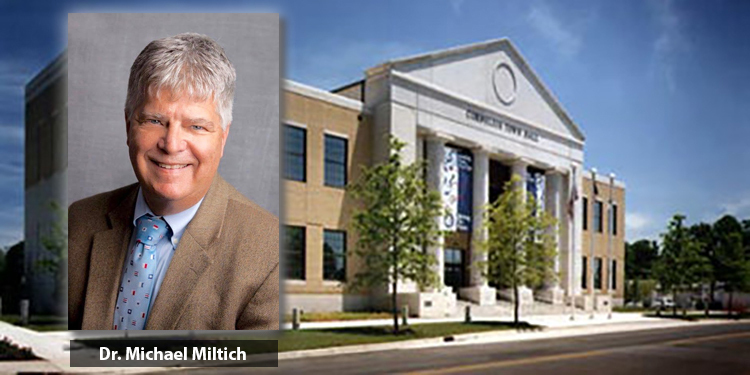 Miltich learned of their existence during a meeting with then-Mayor Chuck Travis, Commissioner Woody Washam—who is now the mayor—and a town attorney Sept. 7, 2016, 14 months before the pivotal November elections this past year. Incumbent Jim Duke lost by four votes last November, while Kurt Naas and Denis Bilodeau won first-time seats on the five-member board. One question being discussed now is how knowledge of the Ada Jenkins matter might have affected the outcome of the election. Commissioner Naas said he was aware of the Ada Jenkins/Miltich issue during last fall’s campaign. “Ada Jenkins considered the matter resolved satisfactorily and wished to keep the matter private. Out of respect for the Ada Jenkins Center and their wishes I chose not to make an issue of it during the campaign. I felt—and still feel—that was the decent thing to do,” Naas said. For his part, Miltich said he is a “kind and caring man dedicated to the service of others” over much of his lifetime. “I am always trying to make those around me laugh and feel better. Statements taken out of context can be easily misconstrued to imply something totally different. My efforts to be helpful have been recast with nefarious intent. I am sorry for any discomfort that I may have caused—it certainly was unintentional,” Miltich said. He will defend himself at tonight’s Town Board meeting where the issue is expected to surface. Outcomes could include a censure—a meaningless action that former Mayor Travis was able to withstand—or being relieved of some of his responsibilities. Any such action might occur at a later date. Miltich said allegations from a former reporter at the weekly newspapers are unfounded as well. There was “nothing suggestive or harassing in these messages,” he said. “They do reflect the caring person that I am. Those that know me would tell you that I check on others, especially if there’s a medical concern,” he said. 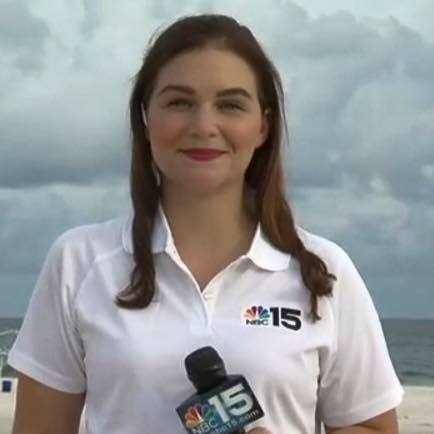 The reporter’s name is Cassie Fambro. She emailed her complaints about Miltich’s behavior to Town Manager Andrew Grant last week. “When she first joined the LKN Citizen, she approached me, introduced herself and gave me her card. We would greet each other occasionally before the Commissioner or committee meetings that she covered. I have had three electronic communications with Ms. Fambro,” Miltich told Cornelius Today. The first occurred was email Oct 30-31, 2017 which is presented below. 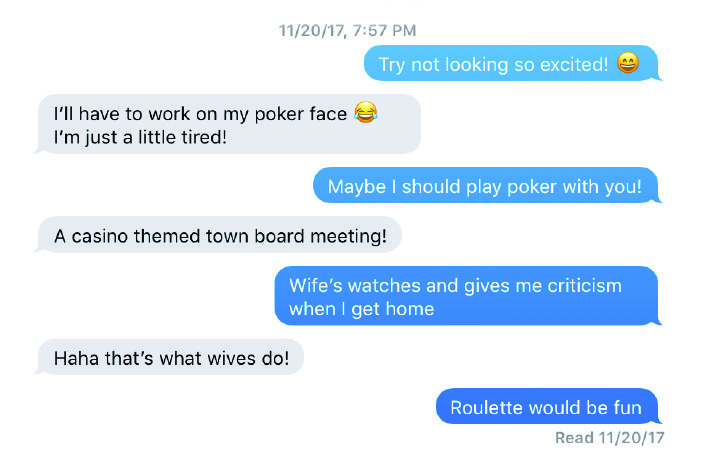 The conversation reads from bottom to top. The fact that UC referred her to an ER implies that they were concerned about a peri-tonsillar abscess, which is a serious and possibly life threatening condition. When I saw her at the TOC meeting a week later, I checked on her and, with her permission, examined her tonsils. She was doing well. 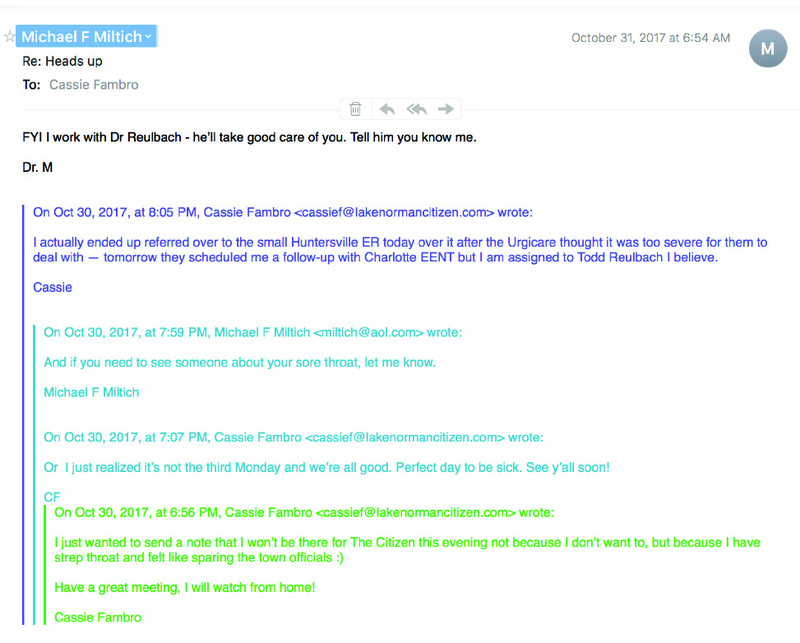 Miltich told Cornelius Today that he does not recall any phone conversations with Fambro. “To my knowledge, I have never had an interaction outside of TOC events and all were in public view. I felt all of our interactions were friendly and professional. At no time did I sense any discomfort, nor did she express any,” Miltich said. Miltich said Fambro was told she could include a boyfriend or others as well. “I underwent Prostate Cancer Surgery 10 years ago, which is something I have just now been able to talk about. Unfortunately, that surgery is not without significant side effects. I vaguely remember a conversation that someone she knew was recently diagnosed with Prostate cancer. I may have shared some of my first-hand experiences and talked about treatment options,” Miltich said. He also said he is also a warm, happy person, and not everyone is used to that. “My mother used to say if everyone gave 10 random compliments a day, the world would be a happier place. Unfortunately, these days some people become suspect when they get complimented. I still always do what I can to make others feel good. My compliments are always simple, non-threatening, and socially appropriate,” Miltich said. I chose active surveillance with my not spectacular ailment…….however in the current environment he said she said does not seem to be gender neutral. Only they know…..Best Wishes. His phone messages show nothing nefarious. Well, he’s not much of a doctor. I was misdiagnosed badly, ended up in the hospital. What he said was pollen allergy ended uo being stenosis ofvthe esophagus. Very grateful to his PA, who got me into a gastro immediately. It is a shame people can publicly try and ruin a person’s reputation with nothing to back it up with. Dr. Miltech has had 1000 ‘s of women patients and one says she feel uncomfortable and it becomes Media news. Totally bad Journalism and and trying to see papers or improve ratings. This is why the number of newspaper reader is dropping quickly.